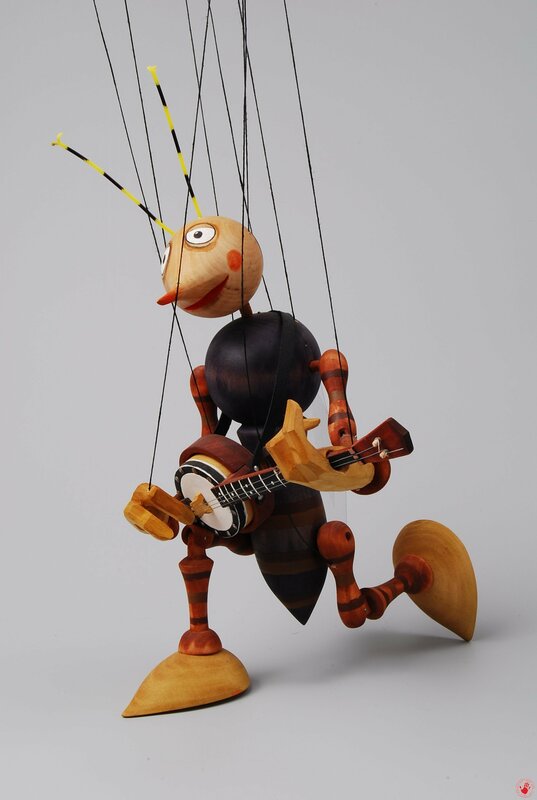 You can choose from six differents types : bass, violin, tuba, banjo, harmonica, gitar. 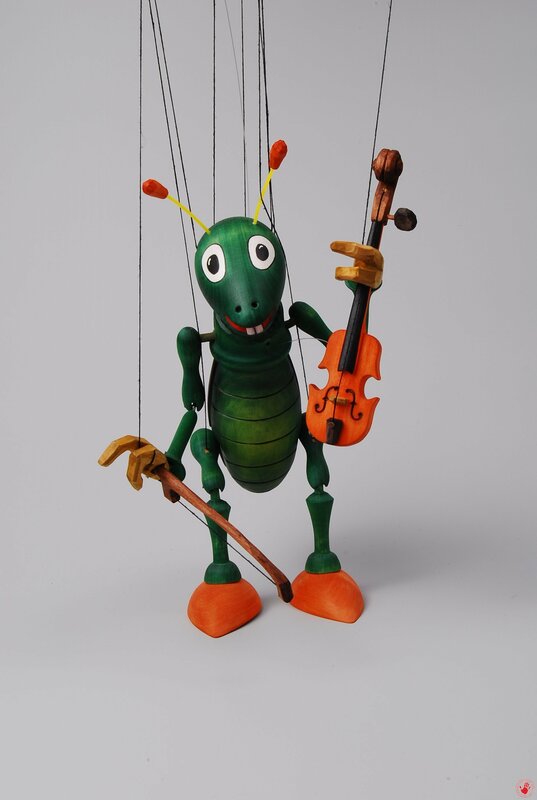 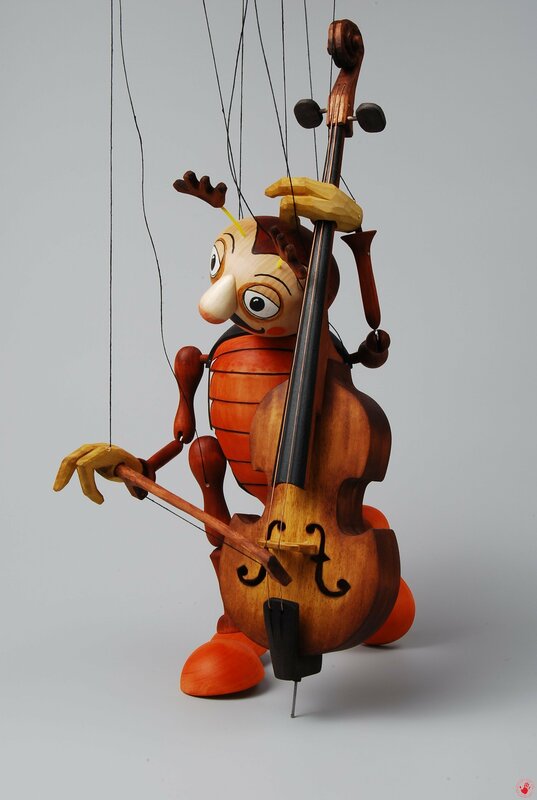 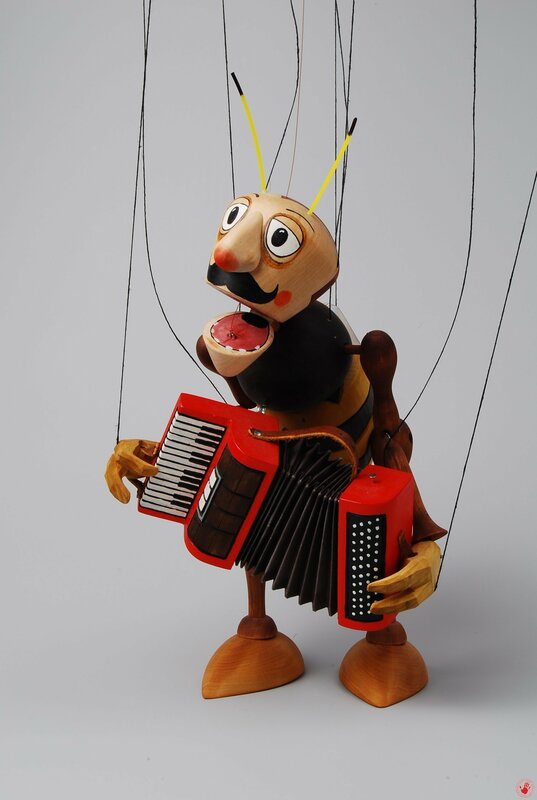 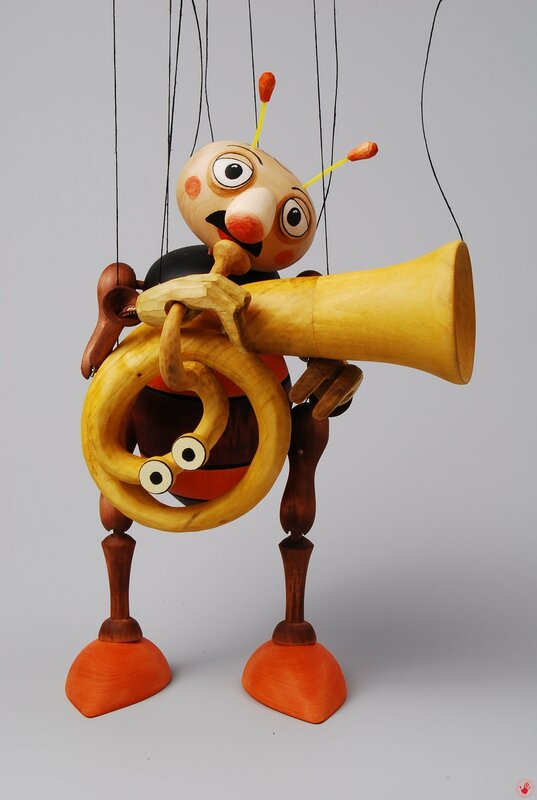 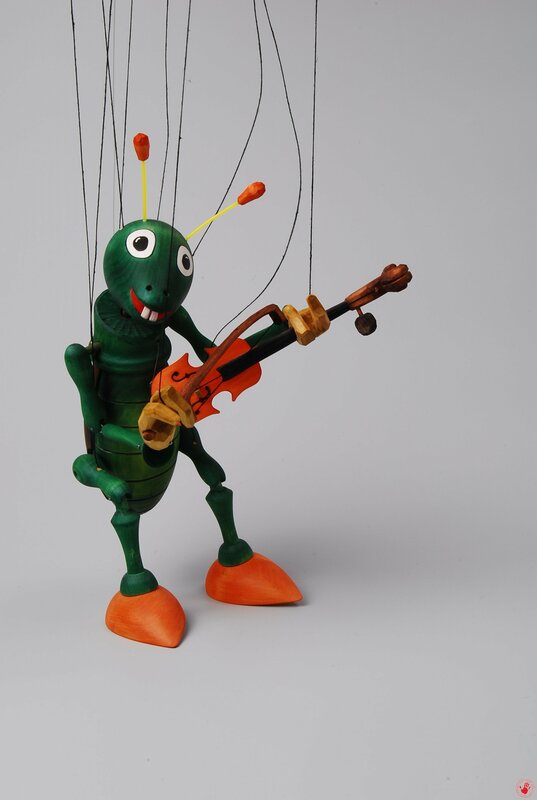 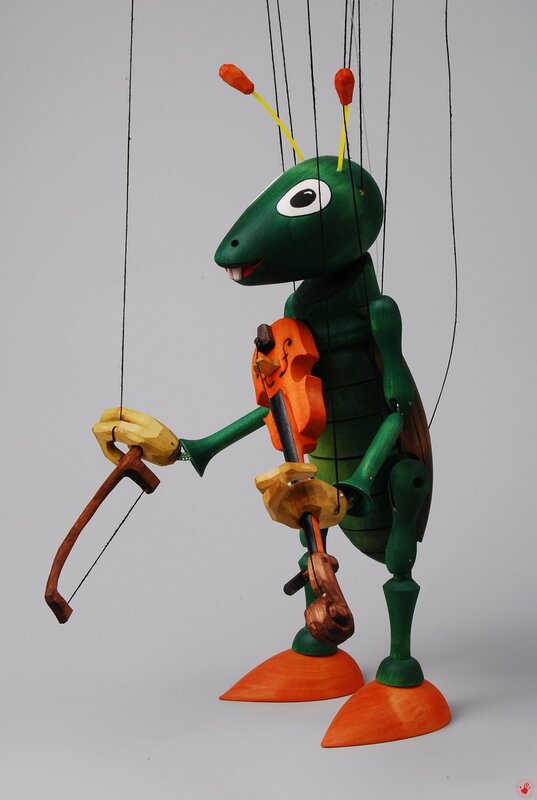 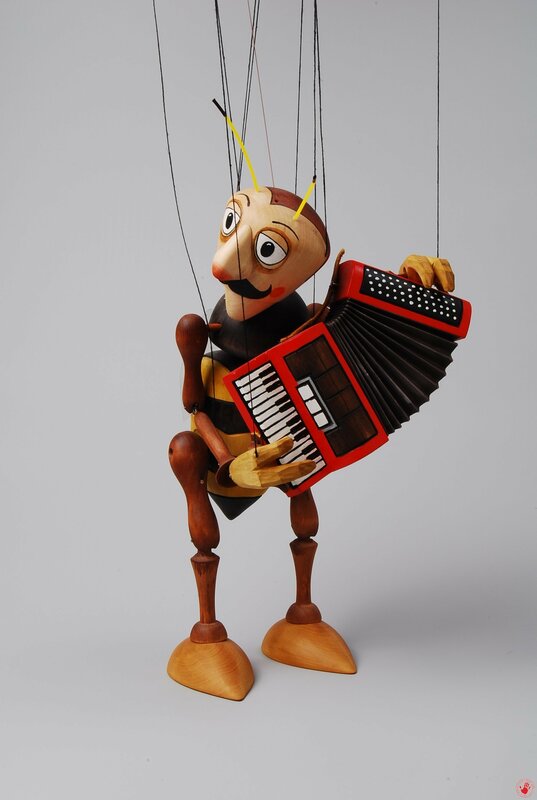 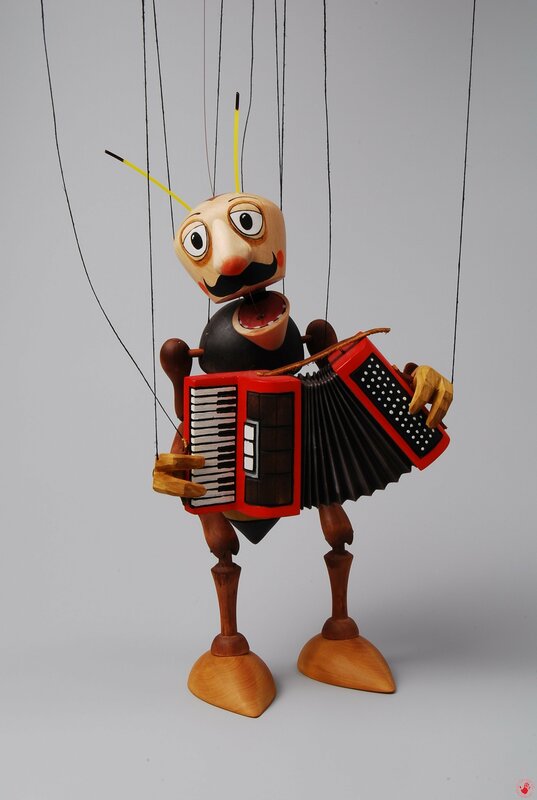 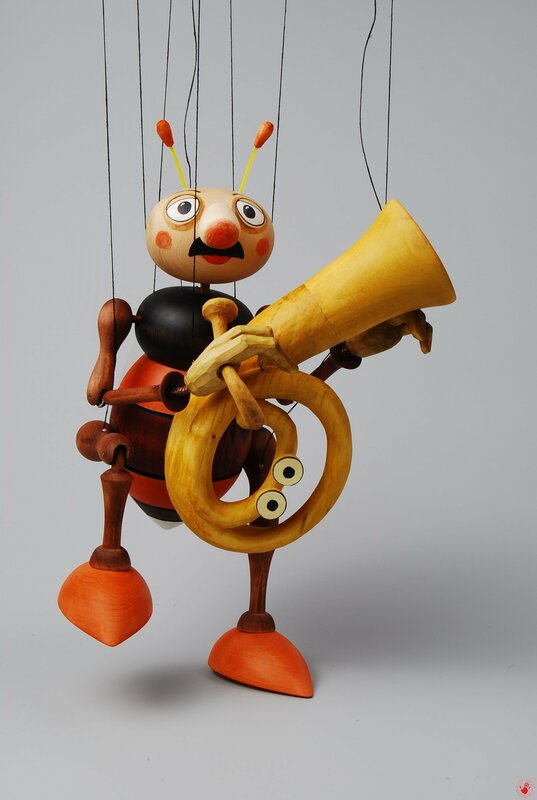 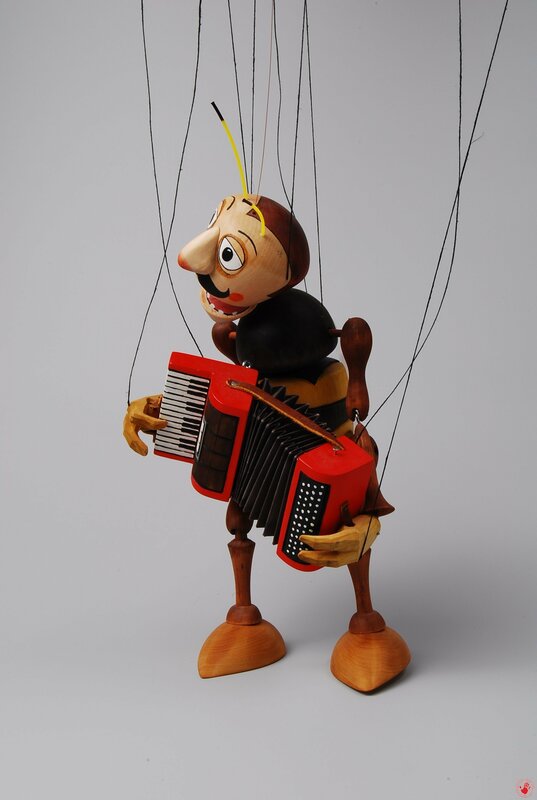 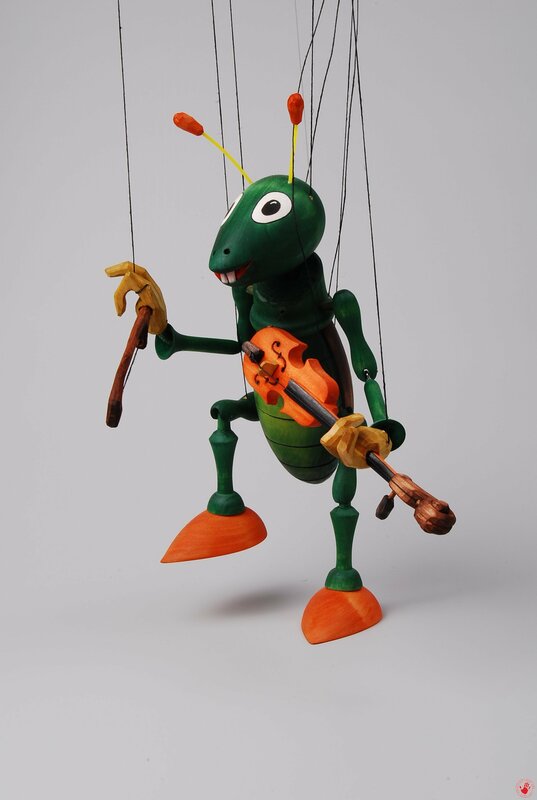 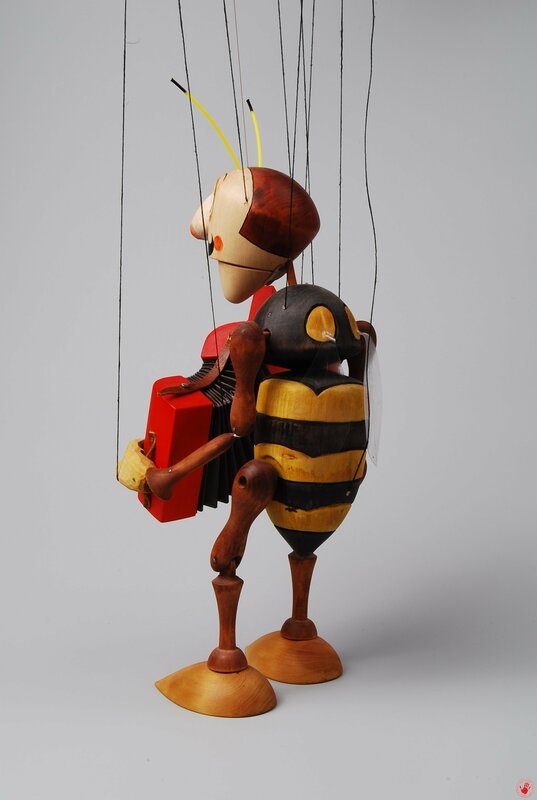 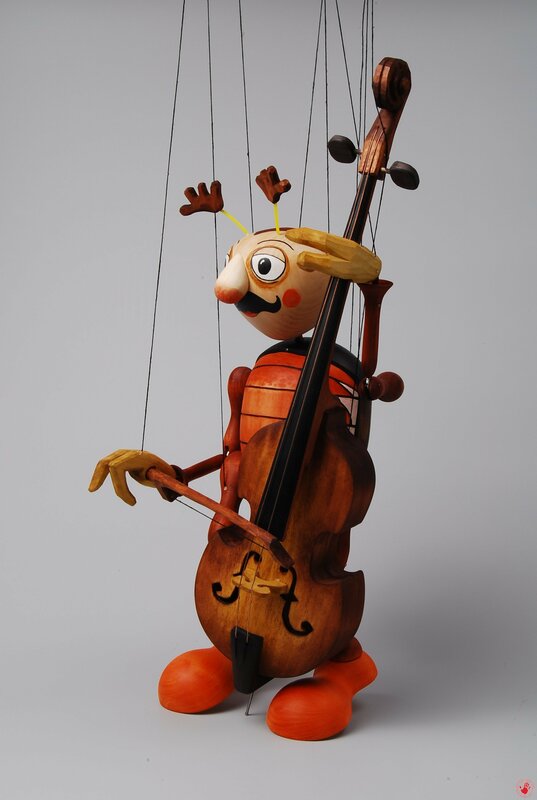 Marionettes are produced from a linden wood, that´s the best and also the most traditional material being used to make a puppets from. 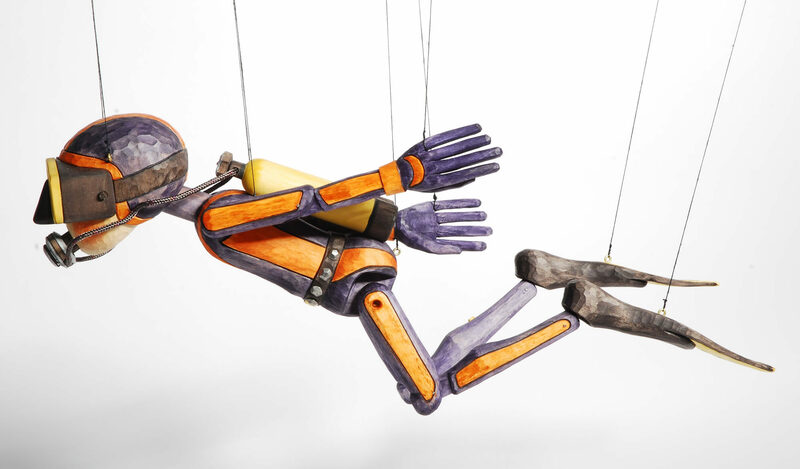 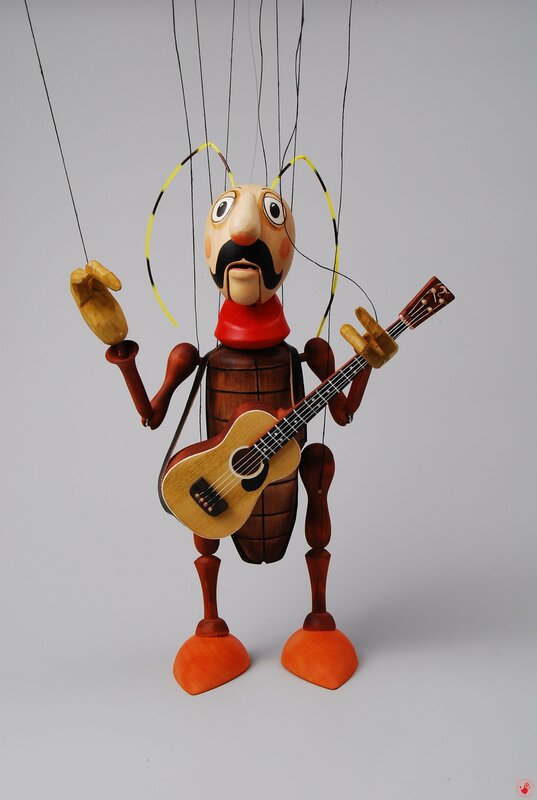 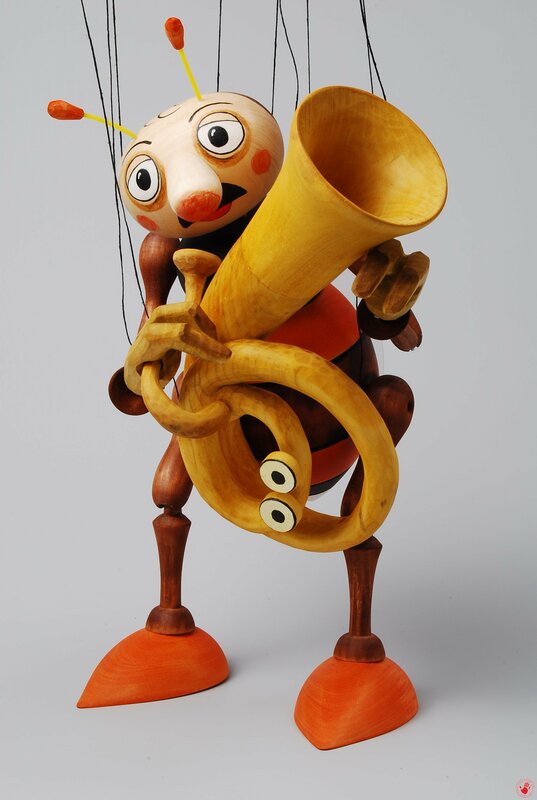 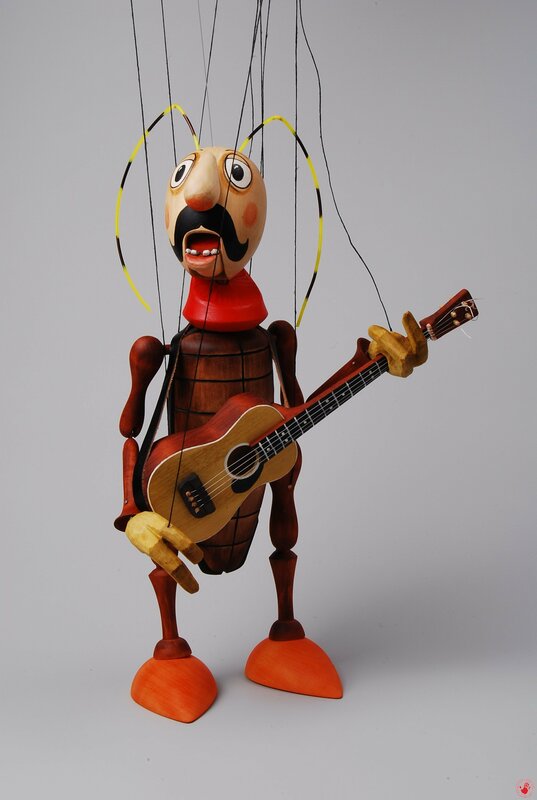 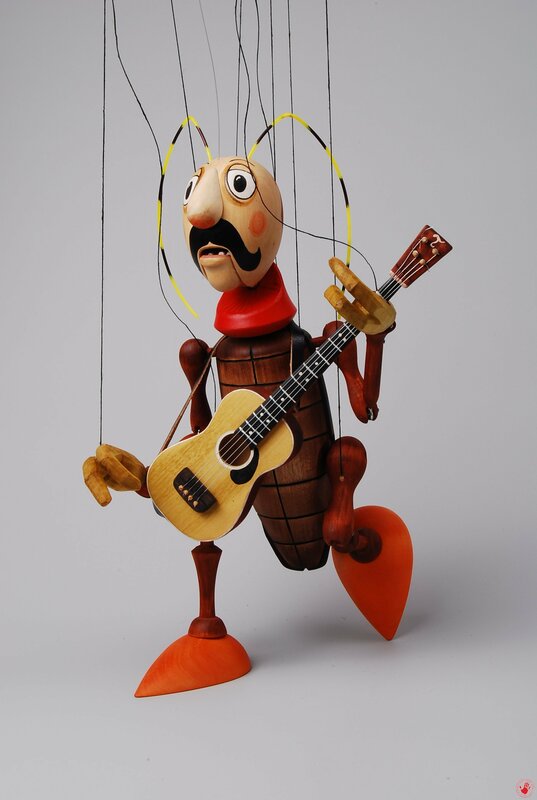 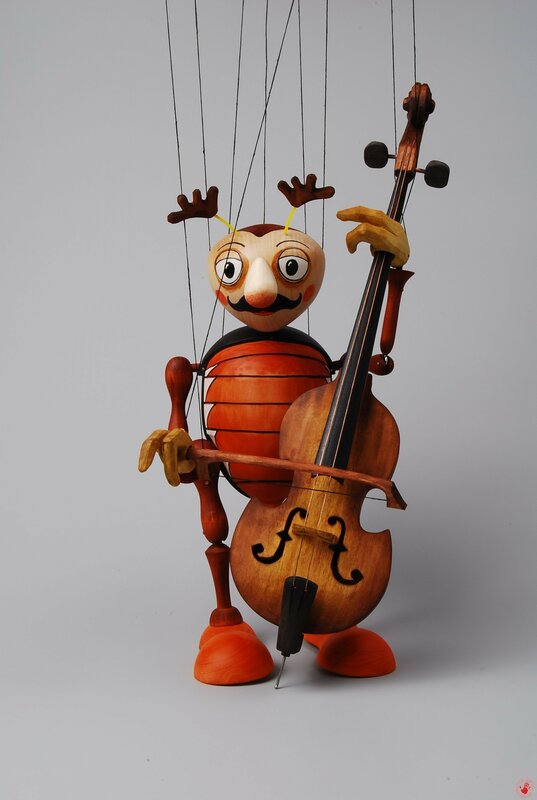 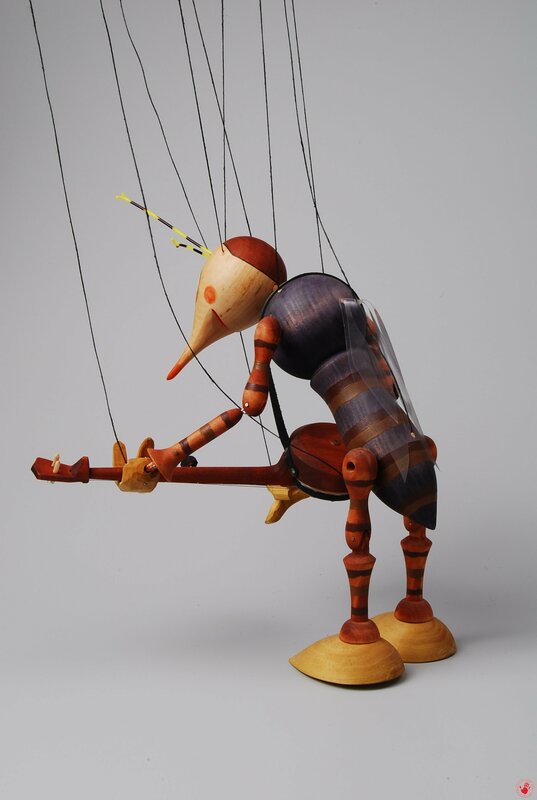 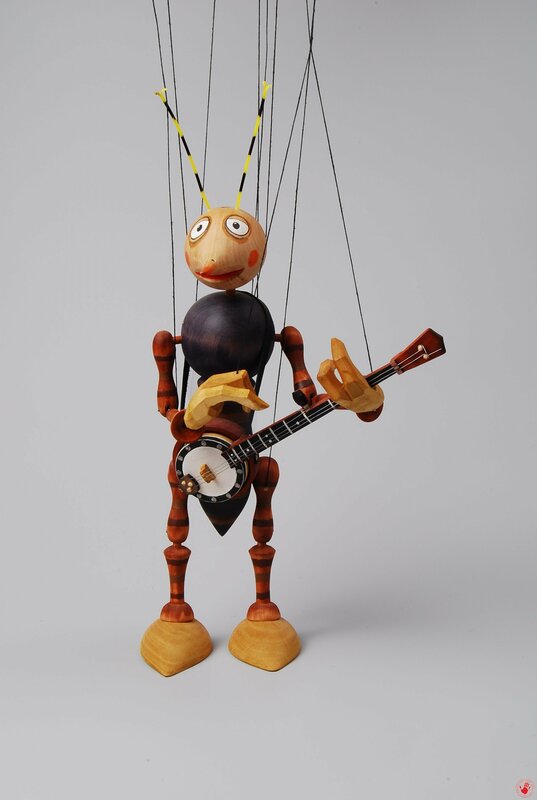 Wood-turned marionettes with hand- carved instruments and hands. 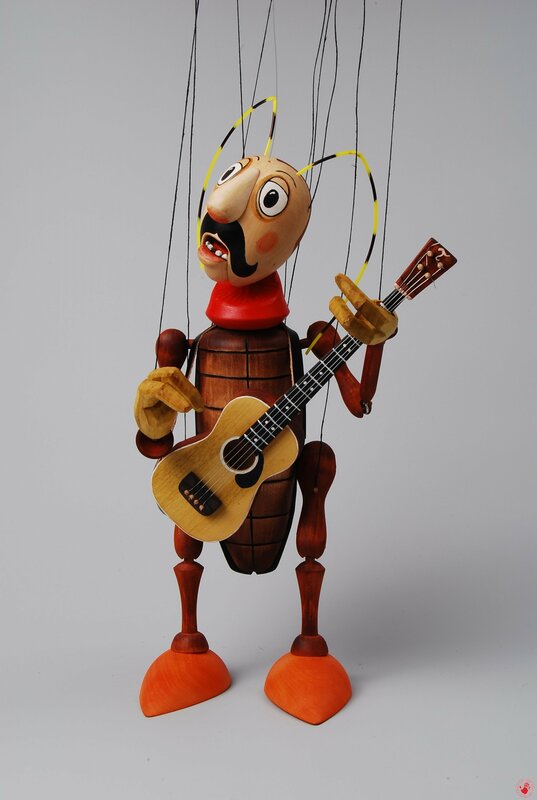 Harmonica and guitar have movable mouth. 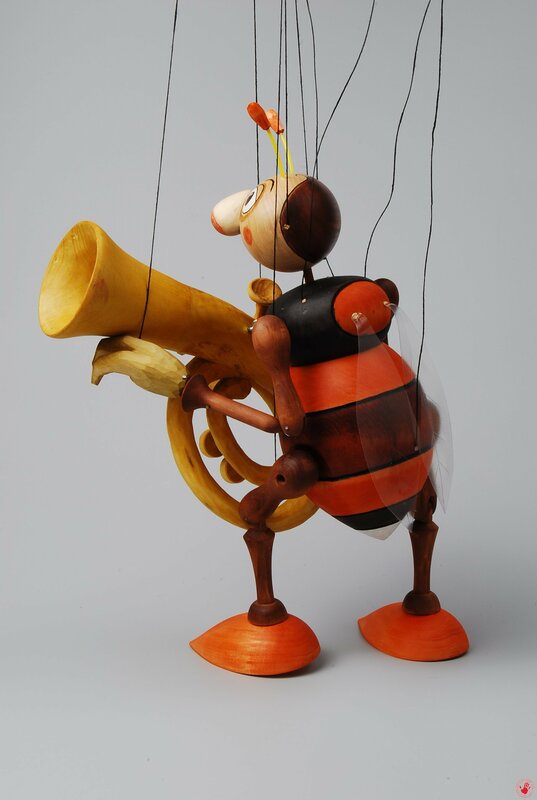 Paint – colour pigments, varnished.